Get ready for the industry’s most advanced and efficient CMH lighting systems. 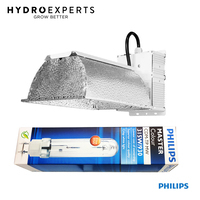 The secret is engineering our own lamp, e-ballast, reflector and Super Spreader to work together as a complete lighting system (rather than forcing growers to mix and match components from various manufacturers). The result is unmatched output and efficiency in its class. Our new CMH lighting systems deliver an improved, continuous spectrum compared with first generation CMH lamps. 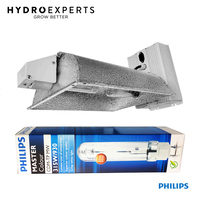 Additionally, growers can benefit from higher output, improved efficiency and longer lamp life. The years of research, dedication and grow trials have paid off! Both lamps are available in 3K and 4K colours. 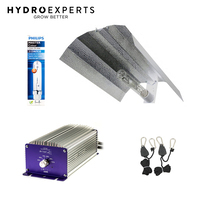 The 4Ks (additional blue) are ideal for all stages of plant growth and can be used to enhance the spectrum of HPS or DE-HPS throughout flowering. The 3Ks are great standalone lamps, ideal for all stages of growth and particularly flowering. The 315W SE CMHs are fitted with industry standard E40 mogul bases for versatility and improved reliability. They also run XOS borosilicate single skin jackets for enhanced harmonic stability, cooler operation and extended life. The Adjust-A-Wings DEfender reflector uses composite, highly reflective materials (PVD aluminium and a high-tech Titanium Oxide reflector coating) to provide a super-accurate and uniform lighting footprint. Get ready for industry-leading performance and efficiency from our new Ceramic Metal Halide (CMH) lighting systems! 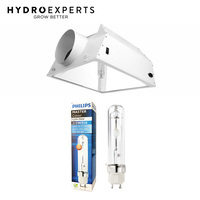 The same great spectrum, in a smaller package, ideal for smaller grow spaces and for mixing between HPS lamps to enhance spectral diversity. 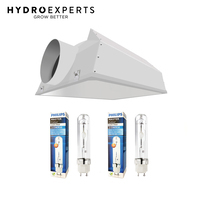 The SE-CMH lighting kit comes with a lightweight, small DEfender reflector, unique 315W 4K lamp with E40 mogul base and specialist Ultra High Frequency (150KHz) e-ballast (remotely mounted). 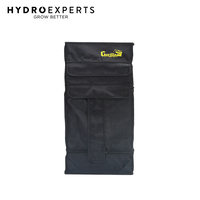 This is an affordable, reliable no nonsense package that can easily cover a 1.0M x 1.0M canopy to power explosive and expressive full term growth or 1.2M x 1.2M vegetative, pre-flower or mother plant growth. We designed the Hellion 315W SE-CMH lamps and the e-ballast to work together for optimal performance. Engineering these essential lighting system components together is key to achieving our industry-leading output, efficiency and lamp lifespan. 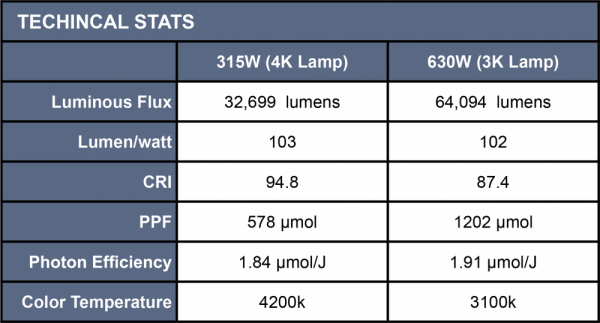 Hellion Lighting Kits by Adjust-A-Wings deliver more PAR output than any other 600 – 750W DE-HPS, 630W DE-CMH or 315W SE-CMH. 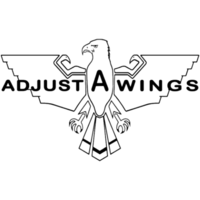 However, it’s Adjust-A-Wings’ unique capability of getting “up close and personal” that truly sets it apart from the pack, delivering unparalleled intensity and canopy penetration without causing heat stress. 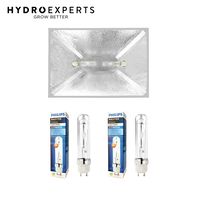 Combining our DE-HPS and SE-CMH / DE-CMH systems in the same lighting plan, growers can create “deep spectral mixing” — combing the complementary spectrums of DE-HPS and CMH at high radiant intensity. This stimulates photosynthesis, production and crop quality on a whole new level! 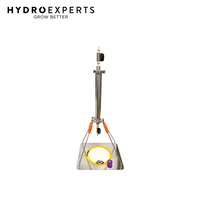 Thanks to the double-parabolic reflector shape and patented Super Spreader (heat diffuser) Hellion lighting systems are able to be safely positioned much closer to the canopy, giving much deeper penetration and driving production throughout the plant. Other small “deep-dish” greenhouse-style reflectors require 90cm or more which exponentially decreases both incident and angular intensity. The Hellion is ideal for quality + production focused growers cultivating under standard-height ceilings. 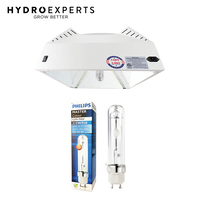 Also, growers with high ceilings my benefit from growing in a multi-tier (multi-layer) arrangement which is not possible with other DE HID systems. All the components (reflector, lamp, e-ballast and Super Spreader) have been designed from the ground up to work as a complete, unified lighting system. 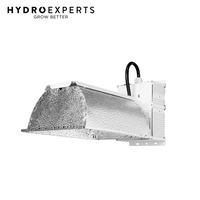 The result is an extremely efficient grow light with extended lamp life, lower power consumption, higher output and high spectral integrity across all key wattage settings. 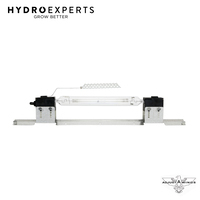 The PVD-aluminium Super Spreader + Spine (insert above the lamp) coupled with the DEfender titanium-coated reflector work perfectly in concert to spread the intense output from the DE lamps evenly and accurately to promote strong, vigorous and uniform plant development. Proximity is everything when lighting plants indoors, otherwise incident light intensity is weak and diffuse, incapable of driving growth and bloom beyond the canopy. Adjust-A-Wings reflectors were designed for grow rooms, not greenhouses. 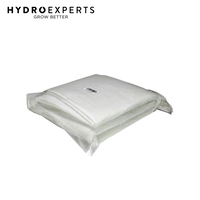 They spread the light and radiant emissions uniformly while the Super Spreaders mitigate the risk of hot spots directly beneath the lamp, allowing a much closer hanging distance. 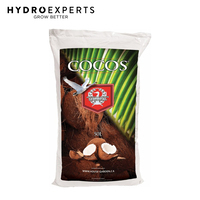 The result is a much more powerful and intense light on your plants, without the heat issues. The Hellions run cooler than any other comparable DE system and maintain cooler and more consistent plant temperatures for better health, and growth rates leading to more homogenous maturity, higher quality and bigger yields. Reflector, lamp and e-ballast are all custom designed and built to highest quality standards. Performance variation is consistently < 1%. All ballasts and lamps are factory run-in so no “100-hour burn in time” is required. PAR maintenance (working life) of lamps is extended thanks to custom-made Japanese arc tube and cooler running temperatures (18 – 24 months). Adjust-A-Wings reflectors last three to five times longer than small, deep-dish style reflectors.